This all-natural Texas Style Steak Seasoning is Bustin' with Flavor! This is a very balanced blend of salt, cracked black pepper and garlic that brings out the best natural flavors of beef. If you are looking for that BIG Texas steak house taste from your seasoning this is it! Our blend has salt, black pepper, and garlic plus a small amount of other Texas flavors to make it interesting. The seasoning is very versatile and is good on any grilled meat plus it is excellent on foods that need a little extra pop to bring out the natural flavors. You can use it on anything from steaks to pinto beans. It is all-natural, No MSG, Gluten Free. Sprinkle it on just before grilling. Enjoy! Use on: Beef or any BBQ food. Set your grill to the highest heat setting and direct heat cooking. Lightly coat the steaks with soy sauce (optional). This will give a slightly sweet flavor to the steaks and enhance the char/grill marks. 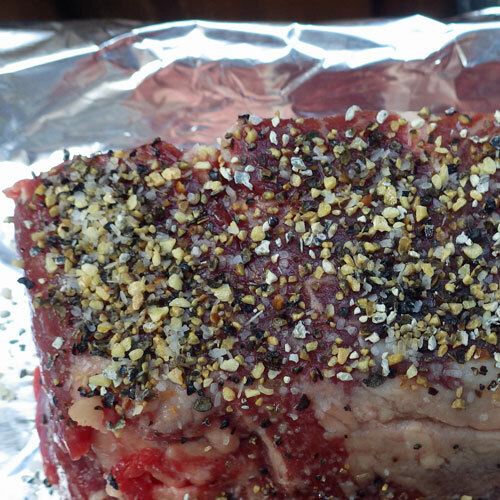 Apply a thin, even coat of Campfre Steak Seasoning to all sides of the meat. Allow the steaks to come to room temperature as the grill heats up. Cook by placing the steaks on the grill directly over the hottest cooking area. Ideal cooking temperature is about 600 - 700 degrees. Always use tongs (no forks) when flipping steaks. - Place on grill - cook for 3 minutes. - Rotate 90 degrees - set back in place for 2 more minutes. 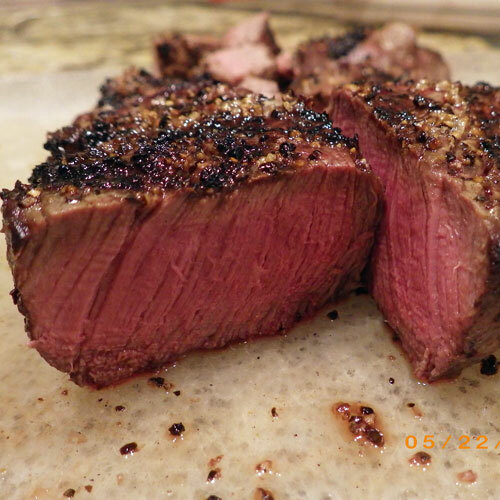 - Flip the steak over - cook for 3 minutes. - Rotate 90 degrees - set back for final 1 1/2 more minutes. - Remove from the grill - rest the steak for 5 minutes. * Cooking times will vary with grill temperature and steak thickcness. The idea is to use a consistent method every time and adjust timing to allow for the proper doneness. Move to a plate and serve.